The Zatelliitti-Zeppelin district is the biggest commercial services center in Northern Finland. The Oulu region’s southern travel center will also be built in the area in future. Zatelliitti is the most significant business district in Kempele and an ideal choice for high-profile companies that appreciate the visible location along the busy E8/4 motorway. 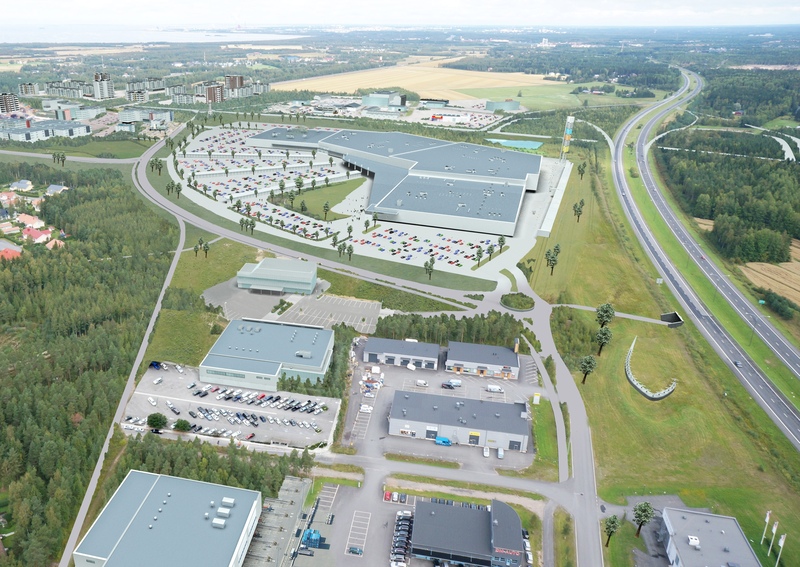 A new motorway extension will be built in the northern part of the area, and Northern Finland’s biggest shopping center Zeppelin is also located nearby. The plots available for industrial and business buildings in Kempele can be found in the Marketplace for plots. Commercial operators are offered plots of varying size, from 3,000 k-m2 to 70,000 k-m2. For commerce that requires larger space a total of 80,000 k-m2 building rights has been reserved in the approved regional land-use plan. In addition, a total of 50,000 k-m2 of space is reserved for other businesses. Zeppelin, the biggest mall in Northern Finland, has more than 100 shops and is located right next to Zatelliitti. Another attractive destination in the area is swimming hall Zimmari. Next to Zimmari is recreation center Zemppi including aparthotel Forenom, bowling center, gym, Arena etc. Other services and stores are: Biltema, Lidl, Ojan Rauta and McDonald’s.